Roger Federer stayed perfect at the Miami Open on Tuesday, persevering through a back-and-forth and gritty fourth-round contest against Roberto Bautista Agut 7-6 (5), 7-6 (4). The Swiss right-hander needed nearly two hours to improve to 6-0 against the Spaniard in their ATP Head to Head series, and afterward likened his recovery to going clubbing. 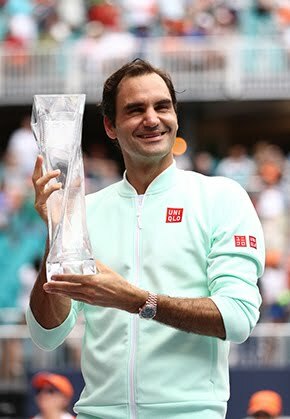 "I think coming out of a brutal match and then feeling fit like a fiddle in the morning, it's like when you go clubbing," said the 35-year-old Federer. "Same thing. You know, you don't feel the same when you're older. It's a good example because everybody knows that feeling. Not that I've ever - you know?" Federer reaches his second consecutive ATP World Tour Masters 1000 quarter-final, where he'll face 10th seed Tomas Berdych, who dismissed Frenchman Adrian Mannarino 6-3, 7-5 on Tuesday afternoon. 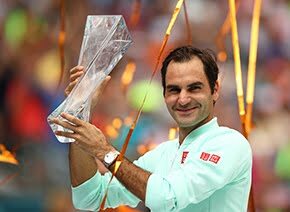 Federer leads their ATP Head to Head series 17-6, including a straight-sets win earlier this year at the Australian Open. Nothing came easy for Federer on Tuesday, though. The Swiss was made to labour throughout his sixth meeting with Bautista Agut, who saved eight of 10 break points and broke Federer once during their Round of 16 battle. 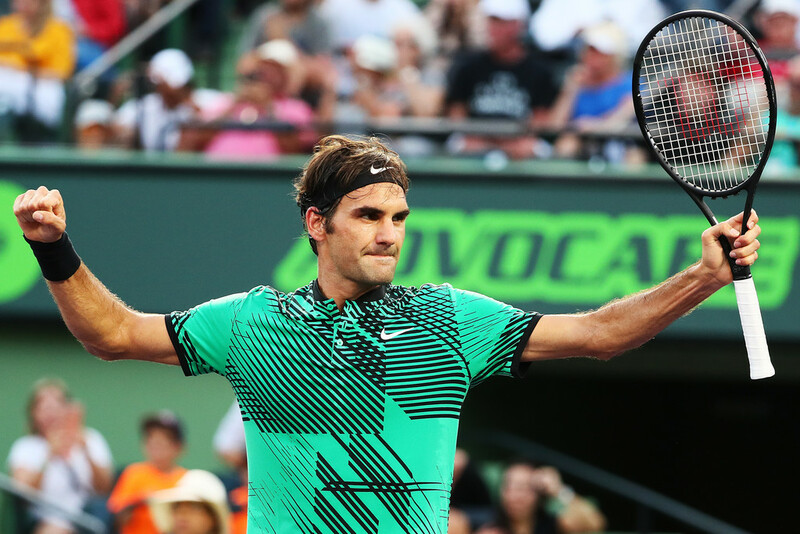 Federer has now been broken only twice during his three Miami matches. "I felt good overall. It was a different kind of match," said Federer. "It wasn't the big-serving match where you're only going to see so many looks, so when you miss chances you always feel a bit frustrated sometimes. That's where you got to keep a positive mindset and make the right plays. "I thought Roberto did a good job of making shots, staying offensive when he could, fending off a lot of good shots that I hit. Then it was tough. The sun was coming from the side in the beginning so it's hard to chase the lines. At the end I'm very happy and pleased that I got it done in straight sets." The World No. 6 sought to be aggressive from the get-go against Bautista Agut, attacking the net often and trying to jolt the 14th seed out of his comfort zone. Federer started by breezing through his service games, especially dominating with his first serve. The fourth seed would win 89 per cent of his first-serve points for the match. But Federer struggled to land his first serve at 4-4, and Bautista Agut took advantage. Seeing another second serve, the 28 year old stepped into a backhand up the line and broke for a chance to serve out the set. Nerves would get the best of the Spaniard during the 10th game, though, as Federer broke to love when Bautista Agut double faulted. Federer struck a forehand pass to escape in the first-set tie-break. To start the second set, it looked as if Federer would start to pull away. He broke in the opening game but Bautista Agut broke right back, and to a second tie-break they headed, where Federer solidified his dominance in their ATP Head to Head series, having won all 14 sets they've played, dating back to the 2014 US Open. Federer is 16-1 this year, matching his career-best record at this point in a season. "Is it the best I've ever played?" Federer said. "For me, it's hard to say yes to that question. Maybe on the offensive side, overall, I think I'm doing definitely a few things better than I ever have. I do feel that I have improved. The game has evolved, I had to adjust, but overall I do believe I'm probably a better player than I was 10 years ago." Federer gets Wednesday off, and will meet Berdych on Thursday in the quarters. "You'll always take those days off," Federer said. "They are worth gold."